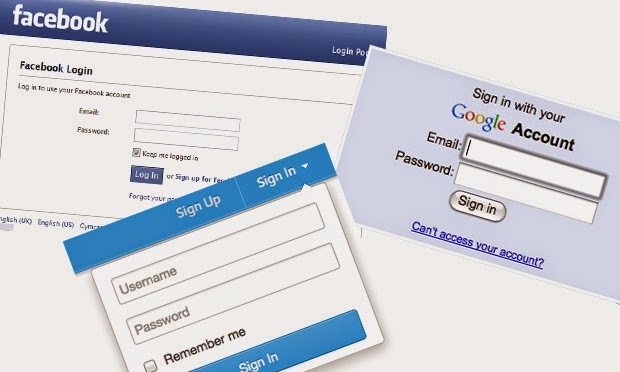 Facebook, Google, Twitter and thousands more websites’ Login Protocols Hacked –There is not any FIX for that! After the world’s biggest data breach ‘Heartbleed,’ a different vulnerabilty has been discovered that could have allowed hackers to attack on your personal data and steal that. A security flaw in the OAuth and OpenID online login protocols could be used to steal data and redirect users to malicious websites, CNET reports. Authorising the app will transfer your data to the attacker instead of reaching a legitimate site like Facebook or Google. Thus, personal data including email addresses, birth dates, contact lists and even control of the account could be given to hackers. You must close any of the suspicious-looking tabs that pop up demanding login credentials for Facebook, Google, Twitter, or any other Internet Services that use these open-source protocols. The Covert Redirect exploit has been discovered by Wang Jing, a Ph.D student at the Nanyang Technological University in Singapore who already contacted Facebook about it. However, Facebook told him that while it “understood the risks associated with OAuth 2.0,” but fixing the bug is “something that can’t be accomplished in the short-term.” “Short of forcing every single application on the platform to use a whitelist,” a simple fix isn’t available. Wang also contacted other popular sites like Google, Microsoft and LinkedIn, and each one giving him different answers. Google: The matter was being tracked. LinkedIn: it would publicly address it in a blog post. Microsoft: We completed an investigation into the matter, and the security flaw has been discovered on a third-party site, not on one of its own. WhiteHat Security founder and interim CEO Jeremiah Grossman agreed with Wang’s findings, but also with what Internet companies told him. I appreciate this post, thank you. However the English is very poor and made reading it difficult. Is English your second language? I was linked to this post via Hacking News & Tutorials Facebook page. Regardless, I appreciate the post.